The initial scholarship will be awarded to a graduating senior attending a Lee County High School who has maintained at least a “C” average and will be attending college on full-time basis. Scholarship may be awarded for any semester requested by applicant within a school year but only one scholarship per academic year. A maximum of four scholarships will be awarded to any one individual. The scholarship will be awarded to the University or College in the name of the recipient to be utilized for tuition and/or necessary supplies. 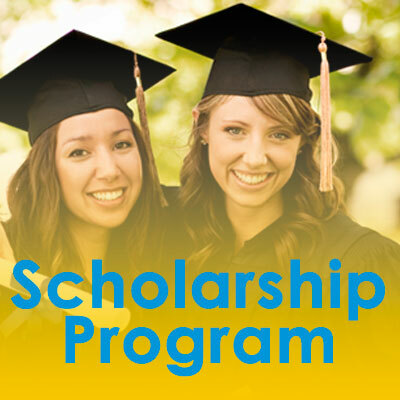 In no instance will the scholarship be awarded directly to the recipient. Once awarded the scholarship, the recipients must complete the semester(s) in which they are utilizing the scholarship; if they do not complete the semester, the funds must be returned to the Sanibel Captiva Optimist Club Foundation, Inc. Recipient must have maintained a “C” average or better for the previously completed school semester in order to qualify for continued scholarship approval. A transcript showing at least a “C” average must be provided to the Sanibel Captiva Optimist Club by August 1 st . When the transcript is received, the recipient will automatically be awarded a scholarship, if requested. Should the average drop below a “C”, recipient will not be eligible for a scholarship award that year. Upon improving their average back to “C” or above, the student may re-apply. Also if a full academic year passes without a scholarship request, the recipient must reapply for a scholarship. Applicants and their parents/guardians must sign the attached application, page 3, to indicate that they have a full understanding of the scholarship guidelines before the scholarship will be awarded. The selection committee will choose the recipients of the scholarship. The selection committee ideally, but not mandatory, may include a member from the Lee County School District and will solicit input from the applicant’s high school.